Over/Under: Under 147.5 at 1.87 Bet Now! The opening game in this series was won at a bit of a canter for the Catalan club but you have to think that this game is going to be a much tighter affair. You got the sense that Olympaicos were playing the long game, and they certainly rotated their squad well in the opening game. When you have high pressure games coming thick and fast, there is a need to look after your main players and the fact that no starting player made the 20 minute mark on Wednesday night could have a big part to play in this game on Friday night. One area where the Greeks will be looking for improvement will come with Vassilis Spanoulis, who got 11 minutes under his belt in the previous game. He didn’t look too sharp after coming back from injury but this run-out could be exactly what he needs to sharpen up and give the away team a stronger edge in this game. Barca lead 1-0 and they will be desperate to extend that lead before they head to Greece but Olympiacos know that they have an opportunity to level the tie and give themselves a bit of momentum. 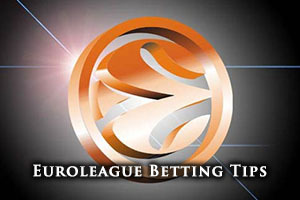 It is fair to say that the Greek side will be well rested for this game but Barcelona used their squad players well on Wednesday so fatigue may not be as much of an issue in this game as it will be in some of other Euroleague playoff games this week. Ante Tomic has been integral for the Catalan club this campaign and he has an average of 11.5 points per game while he can look back on an average of 7.0 rebounds per game too. Marcelino Huertas is still on an average of 4.5 assists per this campaign. A poor showing by Vassilis Spanoulis saw his average points per game tally dip to 14.8 points, which is a big drop-off, even though he is still the key player for the Greek side. His average assists per game stats stand at 5.9 assists for the campaign. Bryant Dunston remains on an average of 4.9 rebounds per game this season. Bwin are backing Barcelona to win and the Money Line bet offers odds of 1.28 on the Catalan club while you will find odds of 3.80 on Olympiacos. If you are keen to enjoy a handicap bet on this game, taking Barcelona at -7.5, at odds of 1.87 will be of benefit. For the Over/Under market, choose to go UNDER 147.5 at odds of 1.87 for this game which could be a close one. Bet Now!